A researcher has been breeding dissent from the science community with a series of experiments she believes proves that plants are making intelligent choices and listening to sounds. Biological intelligence expert Monica Gagliano from the University of Sydney said it was possible to train plants in same way as a dog. Dr Gagliano said her most “disturbing” find involved a fast-growing and climbing pea plant that developed a Pavlovian response. Ivan Pavlov (1849-1936) was a Russian physiologist who conditioned dogs to salivate every time a bell was rung. “The bell anticipated the arrival of dinner, and yet eventually he rang the bell without bringing dinner and the dogs would continue salivating,” Dr Gagliano said. “Instead of the bell, we used a little fan, which I knew plants didn’t care about. And instead of dinner, I used a little blue light, which I know plants care about very much for growth. 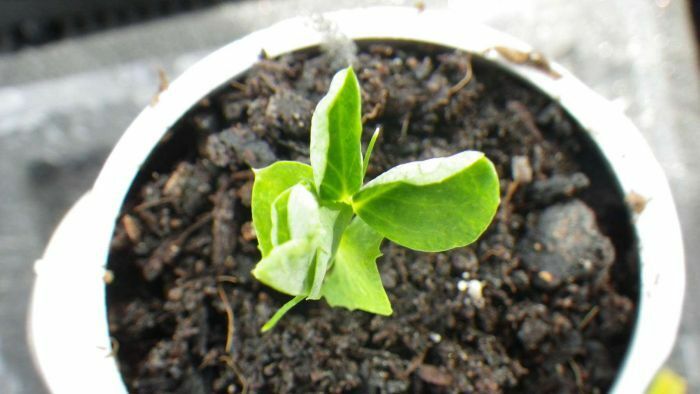 The researchers had the fan blow onto the pea plant from a certain direction before they replaced it with a blue light, repeating the fan-light combination from random angles over several days. Finally, the fan was blown onto the conditioned plant from a certain direction. When the researchers returned the next day to turn on the blue light, they found the plant had bent towards it in anticipation. “The fan had no meaning whatsoever to start with, but it acquired meaning to the plant through its own experience, the same as the bell did for the dog,” Dr Gagliano said. “The plants don’t have brains, they don’t have neurons, and yet they’re still performing the exactly same task as the dog. Another experiment involved growing pea plants in a maze and running water through one of the pipes so the plants grew towards it. Plants are known to be able to find nearby water by sensing its humidity gradient. “But then I recorded the sound of water and substituted the real presence of water inside a pipe with just the sound,” Dr Gagliano said. She also tried playing random sounds like white noise but the sound of water had the greatest effect. “The experiment showed there is a selectivity in response to sounds around them, and water of course is ecologically relevant,” Dr Gagliano said. She said it suggested there was another system of cognition beyond neurons and brains that humans had not yet considered. “As humans we are seeing the world from a human perspective and that should be acknowledged all the time along with our subjectivity [and subsequent limitations],” she said. Dr Gagliano will talk about her findings at this year’s Womadelaide world music, arts and dance festival in Adelaide during a session called Can Trees Talk, Think and Heal? She will be joined on stage by Adelaide environmentalist Alex Gaut and Dr Brian Pickles from the University of Reading, who will talk about a potential communication network among trees and plants through fungus colonies. Dr Gagliano believes her research could improve the repairs of underground sewerage and mains water infrastructure. She said municipalities worldwide spent millions repairing pipes from tree damage after plant roots broke inside to access the water. “You have to replace these pipes anyway, so why not make these pipes soundproof?” Dr Gagliano said. However, Dr Gagliano’s work has not come without controversy and early in her findings she faced criticism from science colleagues. “Let’s say the reception initially wasn’t so friendly, but like everything in science it takes a little bit of time and persistence and more data, and that’s what I think is happening,” she said. She said the first person to do something in science was “usually crucified” and then eventually people caught up and said, “Oh, actually there is something interesting here”. But while her findings may have been difficult to digest, the scientific community’s boundaries may have been further pushed by her ideological connection with South American shamanic traditions. Dr Gagliano said its practices and approaches had connected her to ideas that “normalised society doesn’t really allow the space for”. She said she explored that side of her research in a new book published late last year called Thus Spoke The Plant. Womadelaide runs from March 8 to 11 at Botanic Park in Adelaide.